Discovers and fingerprints billions of internet-exposed assets along numerous dimensions using 60,000+ bots deployed in over 100 countries. Clusters assets based on their digital fingerprints to identify the IT boundary and attack surface of organizations, departments and other business entities. 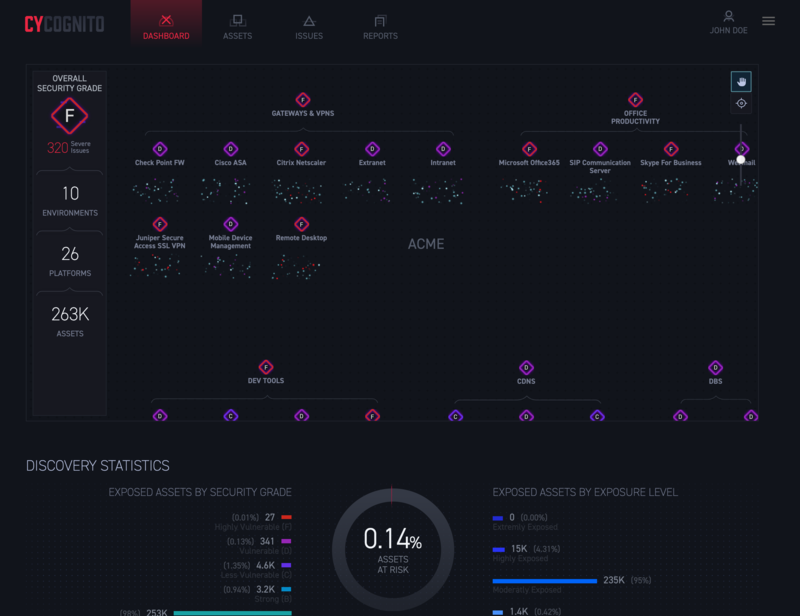 Uses standard and proprietary techniques to identify and enumerate potential attack vectors for each asset, without affecting business continuity. Scores and ranks each risk based on what attackers are most likely to target so that security teams can focus on their highest operational priorities. The CyCAST Platform eliminates security blind spots by mapping an organization’s attack surface and attack vectors, focusing security teams on the highest priority issues, and delivering remediation guidance.